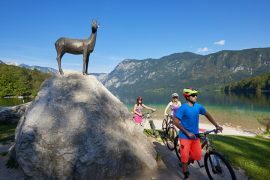 The starting point of this cycling tour is Bled with Lake Bled, the pearl of Slovenia. 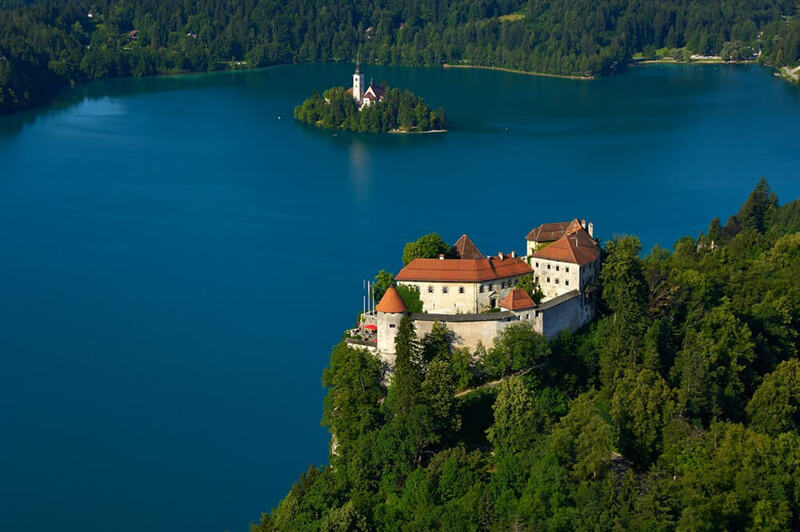 The picture of Bled with the castle, the lake and the island in the middle of the lake is known all over the world. 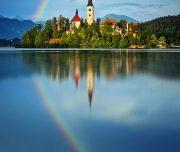 Lake Bled enjoys a reputation of extraordinary beauty. 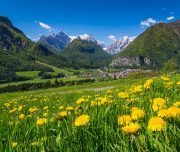 The background of this paradise is formed of the wooded slopes of Jelovica and Pokljuka, the peaks of the Karavanke mountains and the Julian Alps with their highest peak, Triglav – a national symbol of the Slovenes. 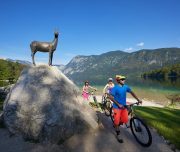 From your hotel in Bled, you will leave every day for your bicycle tour. 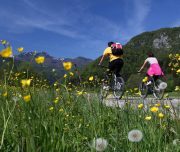 The programme gives you space for individual organization of the stages and guarantees fun for all cyclists, both for those athletically ambitious or the “pleasure-seeking”. 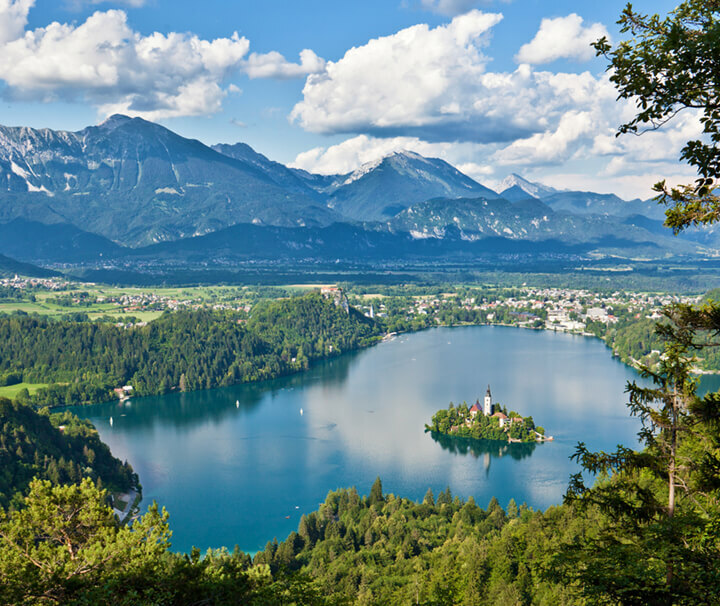 The tour leads you into the side valleys of Bled, onto the Pokljuka high plateau and to Radovljica’s Old Town. Discover idyllic places and villages and be spoiled by the Bled cream cake and its typical alpine cuisine. 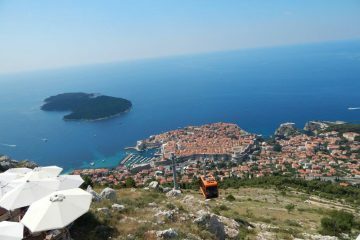 PRICE From 595 EUR per person (with a min. of 2 persons). For details please see bellow. DEPARTURE TIME Daily arrivals are possible from May 01 to October 15 2019. 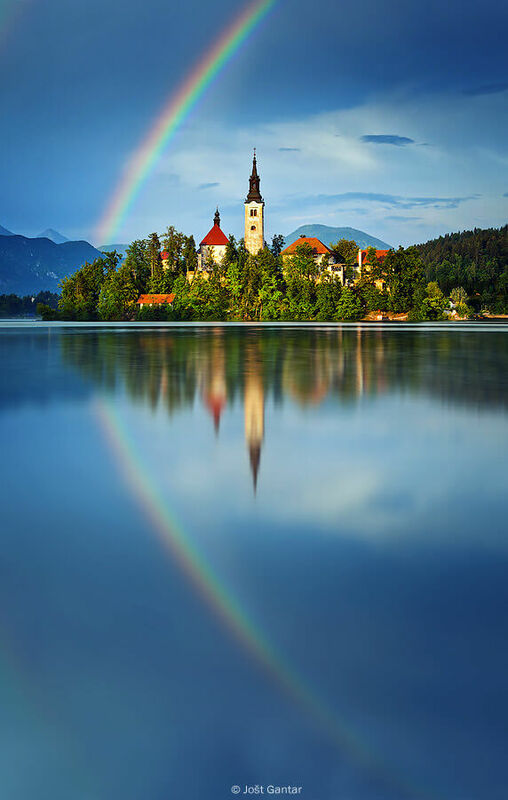 Additional night in Bled in 3* hotel, per person per night, in a double room, B&B 59 EUR. Single room 115 EUR. Half board 10 EUR. 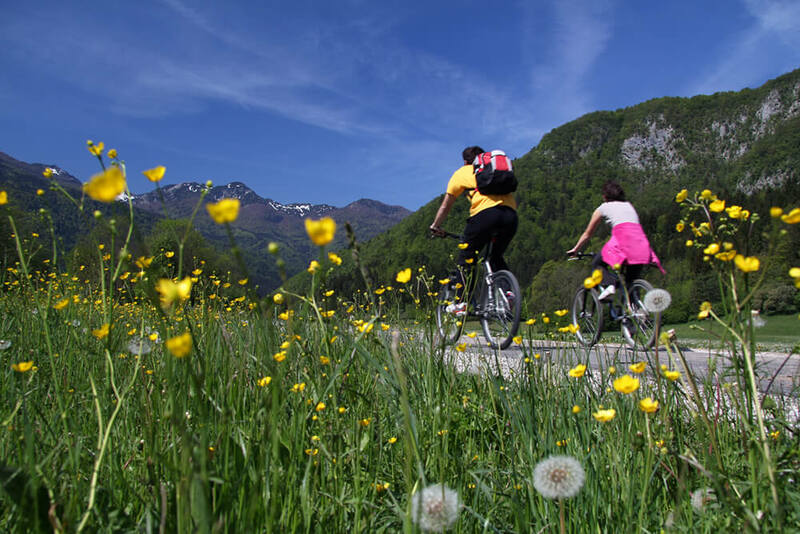 Slovenia is easily accessible and offers a good network of roads. Across the Tauern-motorway (A10) to Villach, than forward on the motorway (A11) direction Slovenia, passing the “Karawanken-Tunnel” on the motorway (E61) direction Ljubljana- exit Bled. For the motorway (E61) you need the Vignette (road user charge), otherwise you can take the first exit Hrušica on the main street 452 and go through Jesenice forward to Bled. Distances from European capitals to Bled: Amsterdam: 1,200km, Venice: 260km, Munich: 420km, Vienna: 440km. Bus: Slovenia is connected with the following bus companies: Euro, Touring and Flixbus. The majority have a stopover in Bled or Lesce. Train: several international trains arrive in Slovenia on a daily basis. The closest station is in Bled Jezero. The train Station Lesce-Bled (ca. 4 km away from Bled) is directly on the international Munich – Ljubljana railway connection. Find the time table on www.slo-zeleznice / www.oebb./ www.deutschebahn / www.trenitalia.com. The tour is light moderate. 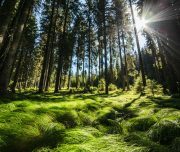 On Day 3 the transfer brings you to Pokljuka Plateau, from there you have a long descent to Bohinj valley. Individual arrival at your hotel in Bled. 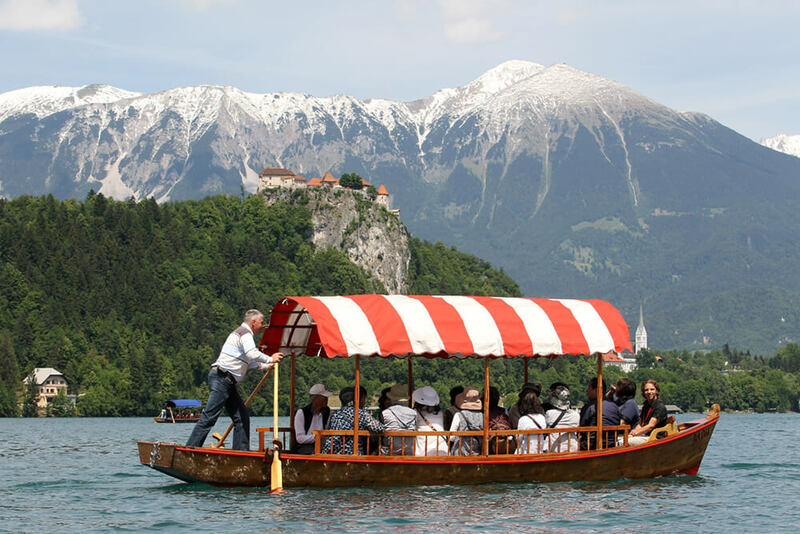 The first stage begins with a round trip around the lake, after which we will drive to Bled through typical Lower Alpine villages with farmhouses. 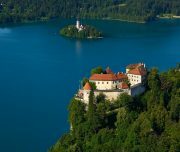 It is also possible to visit “Vintgar rocky gorge” and the Bled castle. 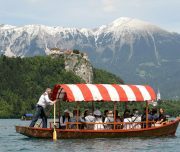 The most beautiful panoramic views of the lake with the island and the surrounding landscapes can be seen from the castle. Route detail: ca. 23 km, + 280 m / – 280m. Bus transfer to the Pokljuka plain, then downhill to Bohinj valley. This is an untouched alpine region with pastures, hay farms and farms. In many huts in the upper Bohinj Valley you can try typical local dishes. A side excursion to Savica waterfall, an additional 15km, is possible. 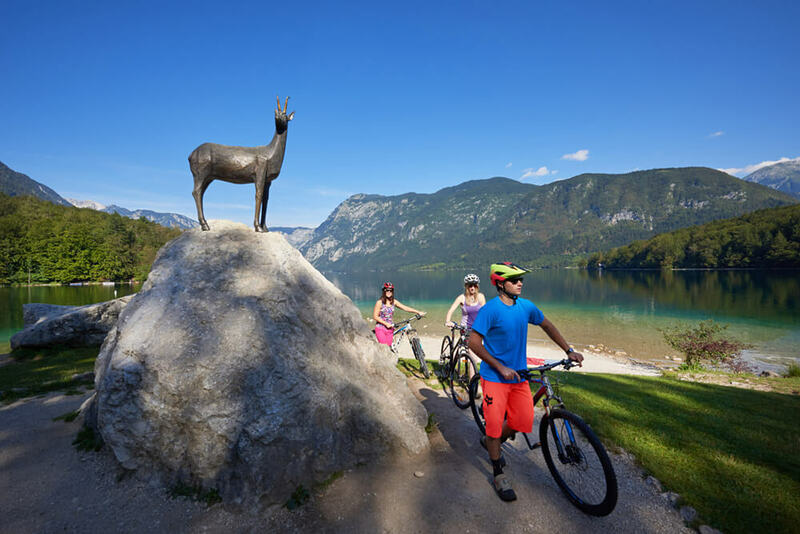 You will cycle on a new bike path from Ribčev Laz to Bohinjska Bistrica, then on the main road to Bohinjska Bela and further on to Bled centre. If you want to avoid the main road and shorten the leg for about 20km, you can take the train from Bohinjska Bistrica to Bled. Route detail: ca. 47 km, + 290 m / – 1050m. 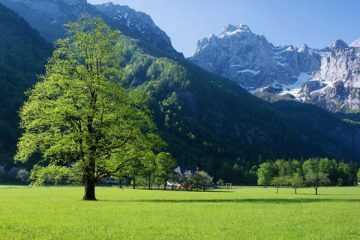 We will enter the Triglav National Park via Spodnje Gorje. 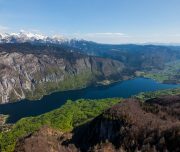 We will drive through Radovna valley to Krma, one of the most beautiful valleys in the Julian Alps, to the Kovinarska mountain hut. We will return to Krnica on the same route. In the longer version, you can drive over a short ascent to Mojstrana, where you can visit the Slovenian Alpine Museum. 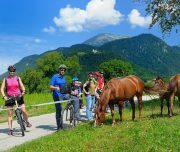 Continue leisurely through the picturesque Sava Dolinka valley to Jesenice and continue on to Bled. Route detail: ca. 44 km, + 600 m / – 600m, longer version ca. 56 km, + 733 m / – 733m. The stage takes you over the Ribno Field, where you can enjoy a beautiful panorama view and its surrounding hills. 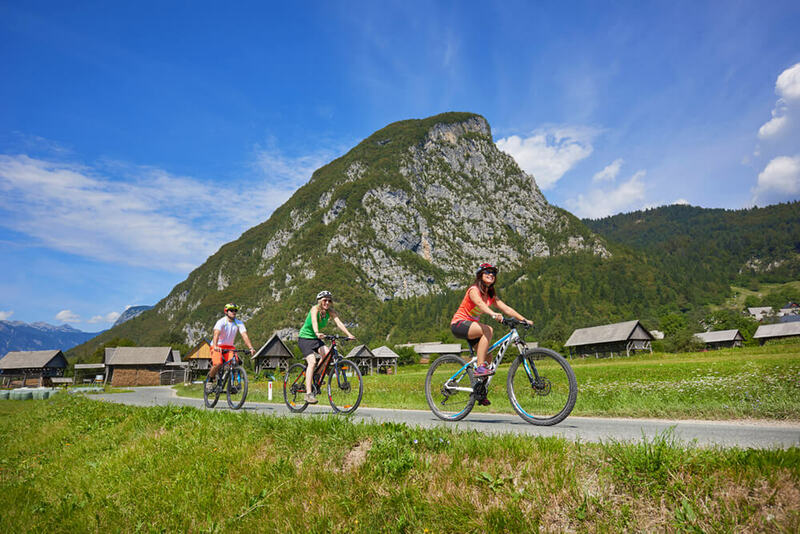 The route goes through the Sava Bohinjka Valley to Radovljica with the Medieval Town Tarkers and the Museum of Apiculture. 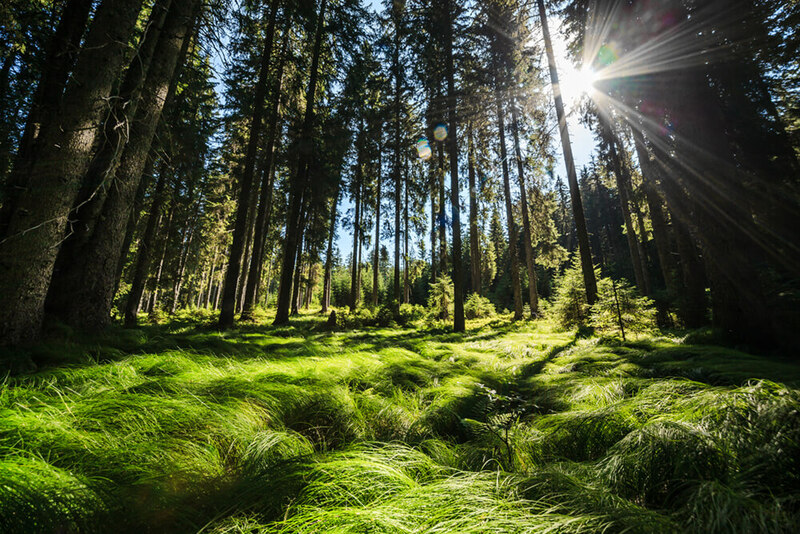 Continue on the forest trail to reach the major Slovene pilgrimage centre in Brezje, past the Drnča Castle, Kamen Castle and Katzenstein Castle. In Begunje, a visit of the Avsenik museum will take you to the world of Slovene popular folk music. Finally, we will pass the Alpine flight centre to Lesce and continue via the Sava Dolinka river to Bled. Route detail: ca. 34 km, + 529 m / – 529m. 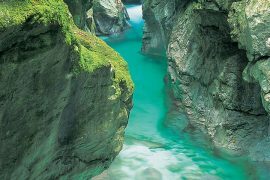 The route passes the Vintgar Gorge, one of the most beautiful natural attractions in Bled. Continue on a small pass to Blejska Dobrava. 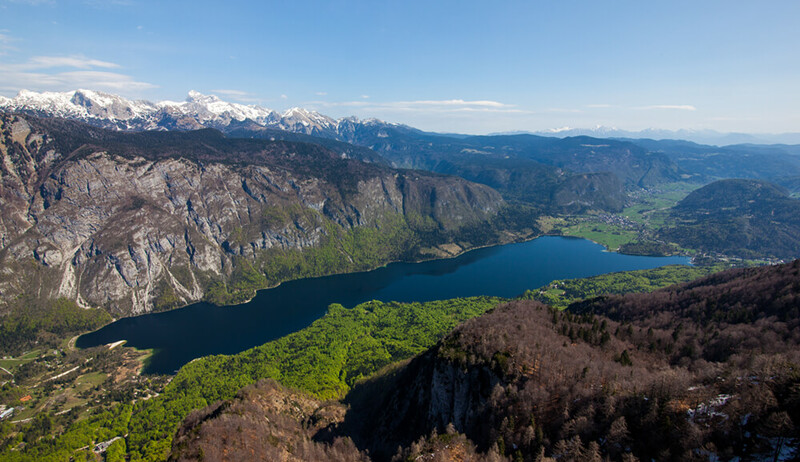 You will cross the dam – the Jesenice reservoir, and a short ascent will take you directly to Završnica Valley, the heart of Karavanke. The last section will take you to the most beautiful golf course in Slovenia and across the Sava Dolinka valley back to Bled. Route detail: ca. 28 km, + 435 m / – 435m. 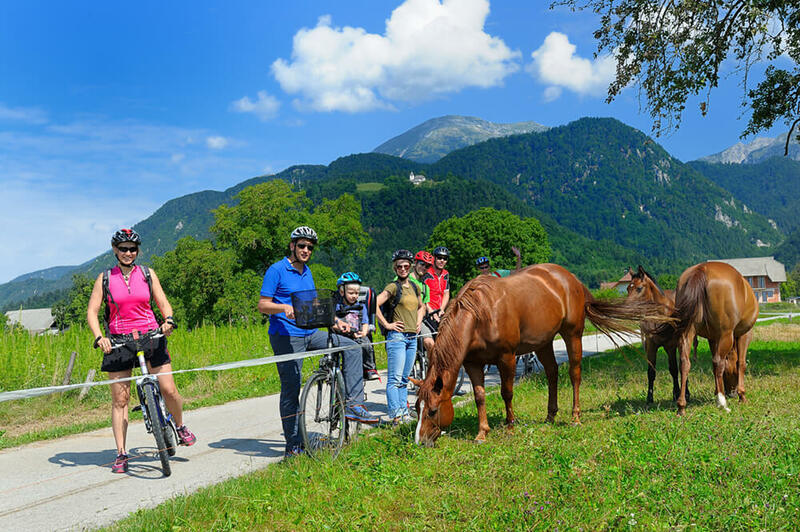 From Bled you will ride via the Sava Dolinka river to Lesce, then through the Radovljica plain to Begunje. 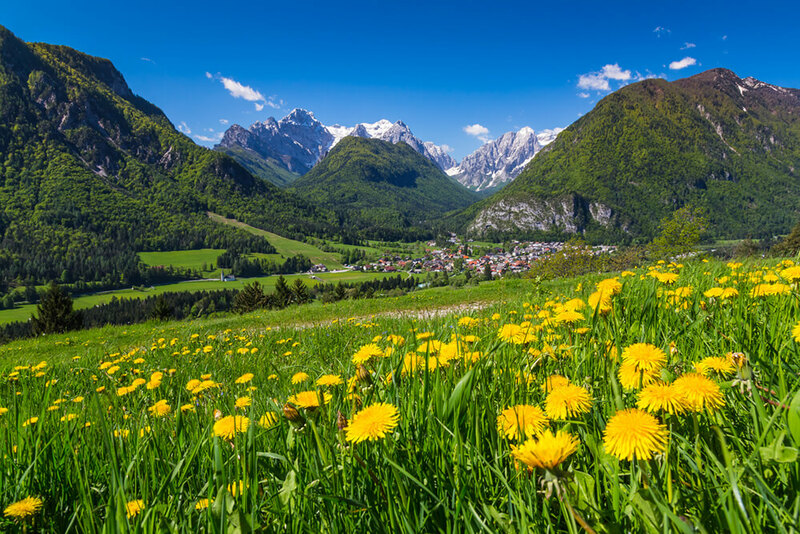 A slow ascent to the Underhillroad will follow, with a beautiful panorama view of the Julian Alps and Radovljica with its surroundings. This will bring you to Tržič, the old town core of which is considered a cultural and historical monument. Continue slowly to Kropa, the cradle of iron-forging, and Kamna Gorica with the same tradition. The last section leads through the Lipnica Valley and along Sava Bohinjka towards Bled. Route detail: ca. 54 km, + 759 m / – 759m. Private transfer to shorten the route available. Your hosts are owners of small family villas, hotels or glamping sites. 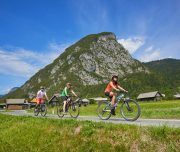 We pick our accommodation carefully and with extra consideration as to whether they have good facilities for guests on a cycling and walking holiday. All of them have great or even extraordinary reviews from their guests.